The latest release of the Studio 5000 integrated development environment from Rockwell Automation can help get smart machines to market faster with enhanced security. The software includes new digital design capabilities to reduce machine design, testing and commissioning times. It also introduces CIP Security support to bring industry-proven security technologies into the automation space. Enhanced Usability: New support for 64-bit math in the Studio 5000 software can help engineers be more precise in their calculations and, therefore, their applications. 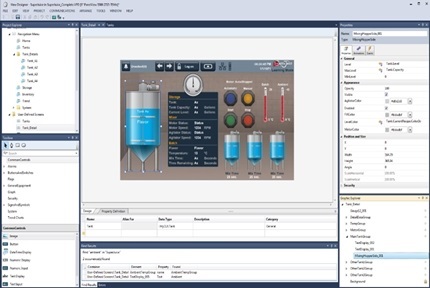 New enhancements to Logix tag-based alarms, such as new instructions and greater alarm visibility, can also help end users optimise productivity by more quickly identifying and troubleshooting problems during production.